An assertion is made in Americanah that it is impossible to write an honest novel about race in this country. It’s hard enough having an honest conversation about it. It doesn’t take long to realize that Chimamanda Ngozi Adichie is taking a sledgehammer to that notion even as she makes you realize just how often it’s true. Ostensibly, Americanah is a love story. Obinze and Ifemelu meet as teenagers in their native Nigeria and fall in love. They want to be together forever, but when systemic teacher strikes prevent them from finishing college Ifemelu heads to the U.S. I won’t spoil any details, but they eventually grow distant–even though they still have powerful feelings for each other. Years later, Obinze has a wife and child in Nigeria and Ifemelu is a grad student at Princeton who has a successful blog about race called Raceteenth, or Various Observations About American Blacks (Those Formerly Known as Negroes) by a Non-American Black (she’d be right at home coming up with names for Fiona Apple albums, am I right?). They’ve formed their own, separate lives, but things are about to get complicated because Ifemelu has decided to move back to Nigeria. 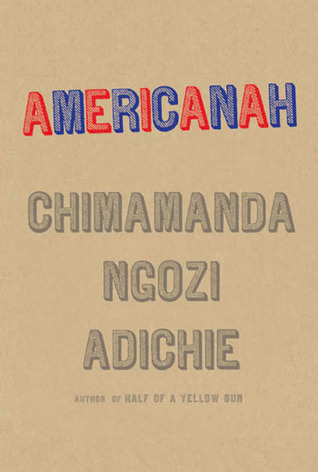 In practice, however, Americanah is sharp social satire. Biting, in fact. Adichie has written one of the most clever novels I’ve read in a long time. It’s fierce and unflinching but funny and deeply caring at the same time. Adichie pokes fun, and she certainly takes no prisoners, but she also has a palpable affection for her characters and their foibles. She isn’t necessarily out to condemn, just to enlighten. And this book is far, far more likely to challenge your notions of race in America than Crash or any other recent project that claims to do the same thing.